If you, or anyone you know, are client of Progressive Auto Insurance, it is important to stay up to date on potential policy changes. 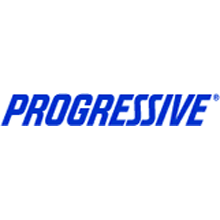 Recently, Progressive made some changes to their Personal Auto contract and we want to make you aware of them. In particular, they’ve revised the Duty to Report section to clarify any material changes to your policy be reported within 30 days of the change. o Some examples of material changes are: a minor got their driver’s license/permit, an exchange student is living in the home for at least four months and is driving the insured vehicle, a significant other just moved in and is driving the insured vehicle, the insured got a roommate who’s driving the insured vehicle, the location where the insured vehicle is garaged has changed from Syracuse to Brooklyn, etc. o If changes aren’t reported within 30 days of the change, they may deny first party coverage for a claim. o It is very important you let us or Progressive know about any material change to make sure you are covered. Please don’t hesitate to reach out if you have any questions regarding Progressive Car Insurance email or any other New York Auto Insurance question.